How many times do you have to fight with your internet connection at home before you contact the professionals? When it comes to something like the internet that you use each day, you need to be sure that it is up and running at all times. 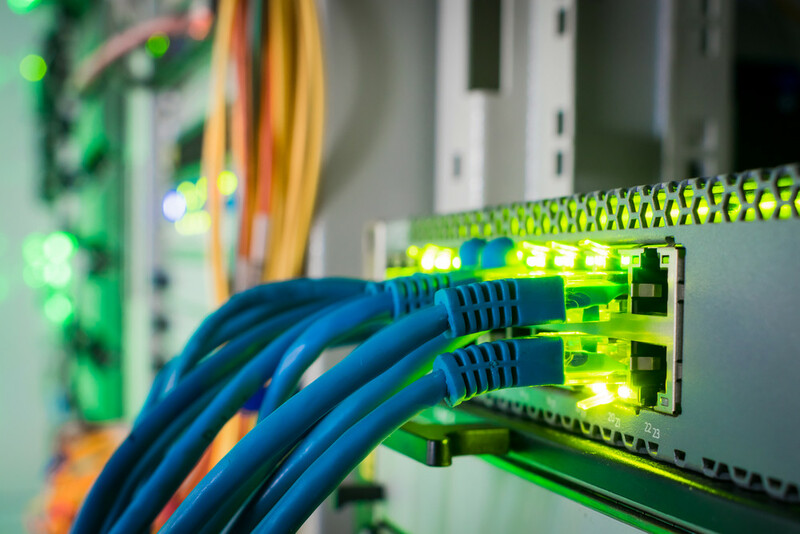 Instead of getting frustrated with setup and troubleshooting, the pros can get the job done for you when you contact someone for home networking installation & repair services in Kirkland and the surrounding area. Even though you may think that you have a quick start guide to get your networking set up properly, there always seems to be something that goes wrong. After so many tries, it is normal to want to give up on the idea of taking on such a project on your own. Not only that, but incorrect installation could also mean that you end up getting less for bandwidth and shoddy connection more often than you should be. It is not all that uncommon for households to have multiple devices that are often in use at the same time. You may also want to look into having it set up so there is a dedicated connection for your guests when they come to visit instead of bogging down your household connection. Smart TVs, tablets, smartphones, and many other devices will benefit greatly from professional networking installation. 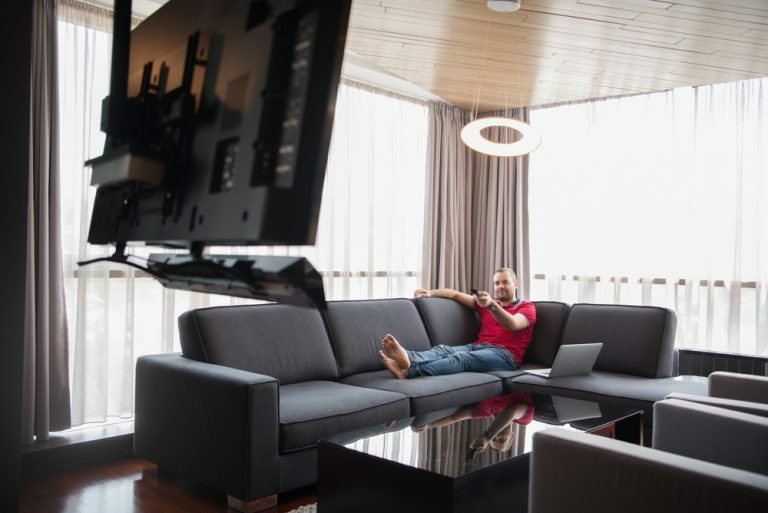 At Home Entertainment Solutions, we understand a lot of the frustrations that homeowners tend to have when it comes to networking and system downtimes. Instead of trying to act like an all-in-one homeowner and IT specialist on your own, we will be more than happy to come out to your property to make sure everything is up and running smoothly. Home Entertainment Solutions is available for quality home networking installation & repair services in Kirkland. Call us today at (844) 437-4621. Looking at the nature of audio and video equipment today and all of the options that are available, there are countless businesses and homes that could truly benefit from hiring professional A/V setup in Snohomish to get the right results. While you may know a few things about audio and video essentials, there is a level of experience that you can only get from hiring the pros. However, you still need to be sure that you also find the right company to give you the installation you are looking for. If you are thinking about remodeling your home or you are planning a new home construction, this is a good time to contact a professional for your A/V setup needs. Getting in at the construction and renovation stage of the game is nice for making sure that you are able to get the design you want while opening up the potential for hiding pesky wires. You may even find that you want to upgrade your A/V plans to put together a media room or a whole home audio system – both of which a professional can help with designing. For any business, A/V can be elemental for day-to-day activities. You may need audio and video in your retail location or you want to have an updated conference room for presentations or training. 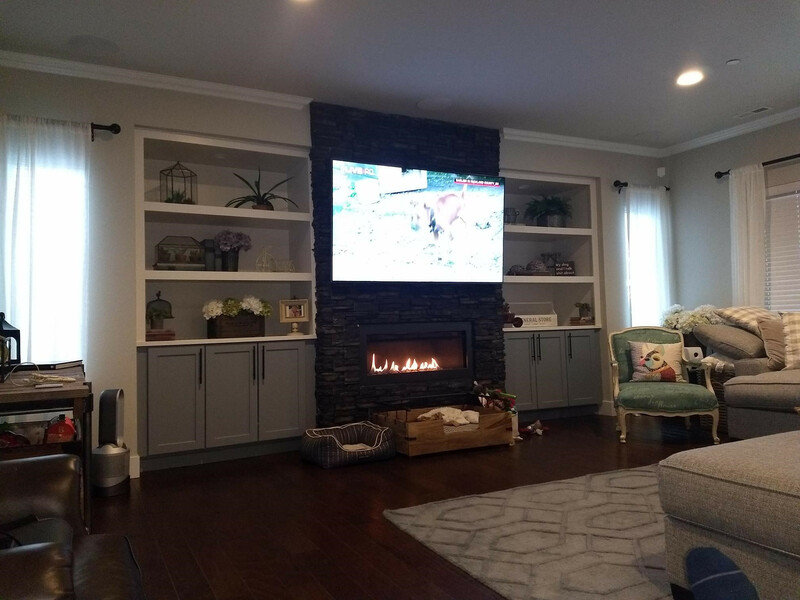 The professionals can help you with everything from structured wiring and television mounting to high-quality projection systems and custom build speakers. Home Entertainment Solutions has been working with countless customers in and around the Snohomish area to develop high-quality A/V projects. Whether you have a residential or commercial space, we would love to talk with you about your A/V needs. When it comes to high-quality audio and video needs, be sure to work with a pro for A/V setup in Snohomish. Call Home Entertainment Solutions at (844) 437-4621. Whether you have an amazing home theater setup or you have a business that includes state-of-the-art sound and lighting, you need to have repair services you can count on from time to time. Whenever you require high end audio & video equipment installation and repair services in Marysville, you will see that taking the initiative to hire the best in the industry will always be worth it. If you are someone who likes to enjoy the show when the lights go down in your theater room or you simply love high-quality sound for your whole-home audio system, working with the professionals is crucial. This is not an area where you can skimp and cut corners because you want and deserve the best of everything. These are times when working with the experts will always yield the results you are looking for. Have you been thinking of taking the leap to install an incredible home theater system? When you want a dedicated theater room on your property, you need to consider everything for a great all-around experience. This will include the visuals, audio, acoustics, soundproofing, seating, and much more. Our team at Home Entertainment Solutions, Inc. is here to help you bring your home theater dreams into a reality. Are you a business owner that requires high-end A/V to keep customers happy? Whether you run a nightclub or you are in charge of a meeting or conference space, audio and video are key. We can come out to your business to do a walk through to determine your needs and then get you set up with a cost estimate for your installation or repair. Home Entertainment Solutions can help when you need high end audio & video equipment installation and repair services in Marysville. Call us at (844) 437-4621. Have You Thought About Hiring Home & Office Audio & Video Design And Integration Services In Lynnwood? There are some things that you may be able to take care of on your own from an audio and video standpoint, whether at home or in the office. However, there comes a time when you will need to hire home & office audio & video design and integration services in Lynnwood in order to get the best possible results. When it comes to these types of involved installations, only the professionals will have the training and experience that is needed to get the job done right the first time. When hiring someone to help with A/V services at home or in the office, the staff will make a major difference in your overall experience. Not everyone is expected to know all about the latest audio and video technology that is out there today. Therefore, you want to hire a team that is happy to discuss all of the technical aspects with you while going over design options and the best way to get you the right installation for whatever budget you have to work with. If you happen to run a business and you would like to work on upgrading your sound system or the video system in your conference room, hiring the professionals will help you to ensure you get amazing results. When you are setting up your business from scratch, the professionals can come in during the beginning phases for new business A/V installation. The same goes if you are building a new home from the ground up. If you are interested in your options for either home or office A/V design and integration, Home Entertainment Solutions is here to help. When it comes to home & office audio & video design and integration services in Lynnwood, you can trust Home Entertainment Solutions. Call (844) 437-4621 today! When you are going through the steps to build a custom home, you have the unique opportunity that many other home buyers do not have. This is your chance to customize each element of your home so that it is exactly what you want When you want a new home theater system or a whole-home audio setup, this is the time to think about hiring a professional new construction audio & video installation service in Everett to get the job done right. After all, the sights and sounds in your new home should be something that truly makes your life more enjoyable. Just as there is a lot that goes into a new home build, you will also have a lot of planning and components that will go into your new home construction A/V set up. 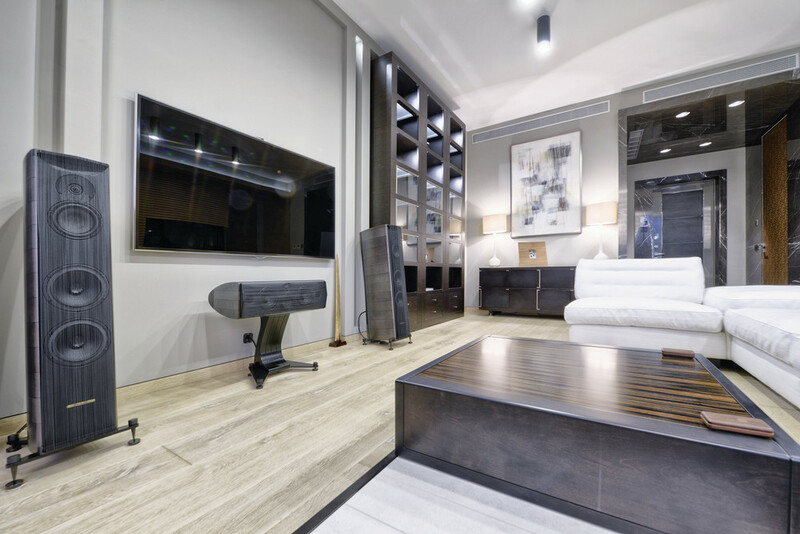 Take the time to think about all of the audio and video elements that you want to have in your home and you can then talk to the experts about your options. Talking with the pros will give you insight into new technology and brands that you may not be familiar with. In addition to that, the experts know how to go about the installation to ensure it is all done according to plan. Do you want to know more about having a dedicated home theater space? Are you interested in smart home technology? These are things that we are happy to discuss with you when you come in to talk with us at Home Entertainment Solutions. You have the questions and we have the answers to make your new home construction installation just perfect. It is a great idea to look for help with new construction audio & video installation service in Everett. Call Home Entertainment Solutions at (844) 437-4621! When you are looking for help when it comes to all of the wirings of your devices and computer systems in your business, it is always best that you consult the professionals. You may not have an in-house tech team to take care of these things and you simply don’t have the time to do it on your own. 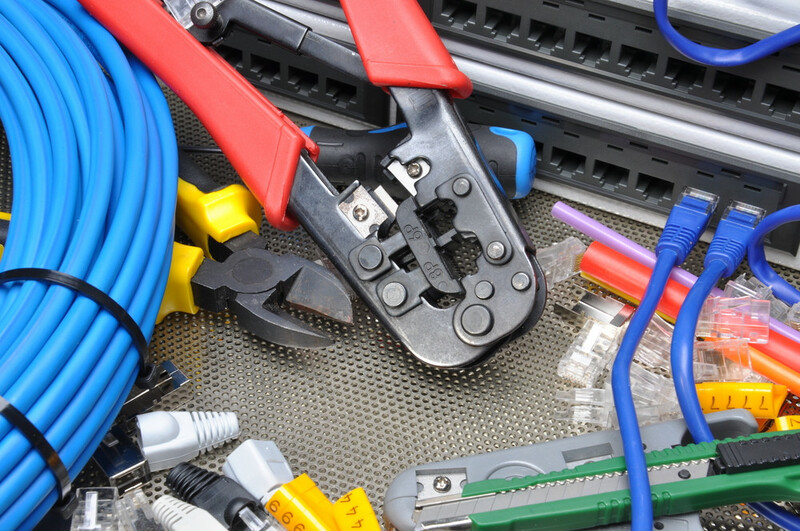 When this is the case, you can contact the experts for commercial networking installation & repair services in Auburn to get the best results. Once everything is all connected properly, you will see that your communication and productivity becomes rather effortless. Connectivity is something that is vital to today’s businesses. When you have a disconnect or any sort of networking troubles, you can be in for hours of downtime and the potential loss of revenue. Expert installation is the best way that you can lay a networking foundation that will garner an efficient environment for working. The pros will come in using the best materials and make sure that everything is done according to your needs. Anybody may be able to plug in a network cable but when you have a bigger commercial job, this is something that calls for the attention of a professional. Home Entertainment Solutions has the answers you are looking for when it comes to networking solutions for your business. You can count on Home Entertainment Solutions when you need professional, commercial networking installation & repair services in Auburn. Call (844) 437-4621 today!